The following two articles are written by Michaela Swales (Director of the British Isles DBT Training Team) and should provide you with useful information on what to consider when setting up a DBT Programme to ensure it’s continuing success. 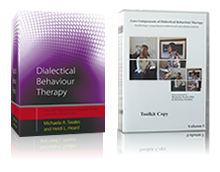 This useful page has been created by Dr. Christine Dunkley a Senior Trainer of the British Isles DBT Training Team. Some useful articles when trying to demonstrate the cost-effectiveness of a DBT Programme are below.